LONDON, UK, 2018-Dec-04 — /Travel PR News/ — In a first for the UK aviation industry, today (03 December, 2018) Heathrow has set out its plans to expand in a carbon neutral way. The airport has set out its stall, outlining the role it will play on four key areas to reduce and offset carbon emissions from the growth in flights, created by an additional runway. Heathrow’s plan builds on the momentum of technological change within the aviation industry to make travel more sustainable. 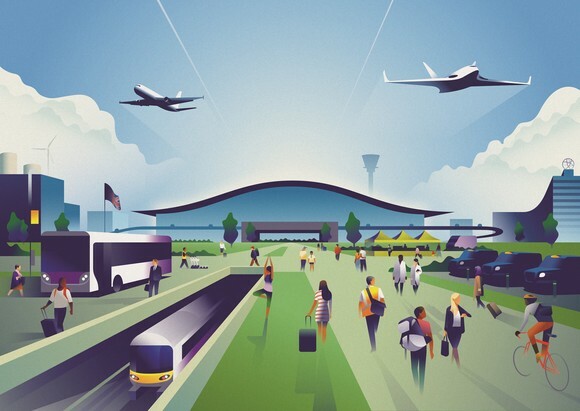 While international aviation demand is projected to increase over the decades ahead – Heathrow will use its leadership and market position, to capitalise on the opportunities from expansion to ensure growth is met in a responsible and sustainable way at the UK’s hub. Continue investing in UK peatland restoration and other projects to play a key role in developing the next generation of UK carbon offsets. Peatland restoration has the potential to be amongst the highest-quality, most cost-effective carbon offsetting methods – and a pilot project is already underway in Lancashire. Heathrow’s full carbon neutral growth map is attached as a PDF on the side of this webpage. Heathrow is Europe’s largest airport and one of the world’s top international aviation hubs. As the UK’s global gateway, Heathrow welcomes more than 78 million passengers every year. The airport is home to more than 80 airlines and is Britain’s largest cargo port, helping to drive British trade growth by connecting the nation to more than 200 destinations around the world. Heathrow is currently ranked by passengers as the ‘Best Airport in Western Europe’ for the third year running and the ‘Best Airport for Shopping’ for eight years in a row. Terminal 2 also holds the title of the ‘World’s Best Airport Terminal’ and is the Heathrow’s most sustainable, now powered by 100% renewable gas and electricity. This entry was posted in Airlines, Airports, Business, Flights, Travel, Travel & Environment, Travel Services, Travelers and tagged emissions, flights, Heathrow, John Holland-Kaye, reduce. Bookmark the permalink.